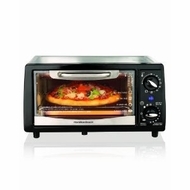 All-purpose Hamilton Beach Toaster Ovens can help you in countless ways around the kitchen all while saving space and time. 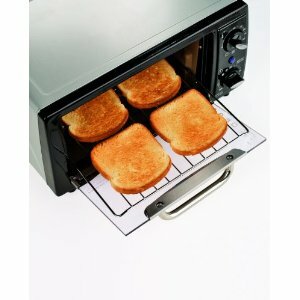 Toast, bake, broil or roast, and you'll be thrilled with the results, as well as the way it suits your busy lifestyle. With Good Thinking designed in, Hamilton Beach Toaster Ovens toast bagels, English muffins and other breads with consistently delicious results. What's more, this model includes a broil grid and bake pan, ready-bell timer and a light-colored nonstick interior for easy cleanup.